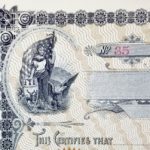 Last week I mentioned that paper savings bonds (both Series I and EE bonds) are going away at the end of 2011. To be honest, the lack of paper doesn’t really bother me – I’m fine with using TreasuryDirect – my concern is that this effectively cuts the purchase limit in half. 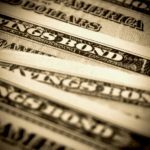 In recent years, you’ve been allowed to buy $5k worth of each type of savings bonds (per Social Security) through both the paper and electronic channels. In other words, you were able to buy $10k of each type of savings bond. With the loss of paper, the Treasury has confirmed that you will now be limited to $5k of each type. For a variety of reasons that I won’t go into here, I’m not interested in EE bonds, but I am interested in I bonds. In fact, my wife and I have bought our $10k limit in each of the past couple of years. Sadly, that’s no longer possible. Or is it? 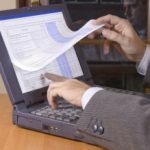 As it turns out, there’s a loophole in the new, paperless policy… Paper savings bonds will still be available if you’re due a tax refund. The IRS has a long list of FAQs, but the upshot is that you just have to file Form 8888 along with your return. On it, you instruct the IRS to issue all or part of your return in paper savings bonds in $50 increments up to the $5k limit. Moreover, there are lines available for two additional purchases. For married filing jointly, the initial purchase will be in your name with your spouse as the co-owner (the purchase doesn’t apply to the co-owner’s limit) and then you can flip it around and buy in your spouse’s name on the following line. That’s all well and good, but who wants the headache of estimating your taxes early and making sure that you overpay your taxes by $5k or $10k per year? And who wants to give the government an interest free loan from whenever the overpayment is made until you ultimately file your taxes? Not me. Fortunately, there is a simple workaround. 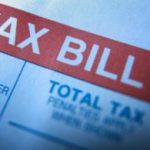 Instead of overpaying throughout the year, simply wait until you figure up your 2011 taxes during the winter/spring of 2012. From there, simply file an extension and submit an additional payment that creates a $5k or $10k overpayment, whichever you prefer. Example: If you figure your taxes and find that you are due a return of $795, file an extension using Form 4868 and include an extra payment of $9205, thereby creating a $10k overpayment. You can either send a check or use EFTPS to make this payment. Now just wait a week or so to be sure the payment has cleared (check with your bank to be sure), and then file your tax return (be sure to adjust the numbers for the extra payment that you’ve made) and file your return along with Form 8888 requesting your savings bonds. That’s it, very easy. Note that, because the extension allows you to file as late as October 15th, this approach also allows you to wait until after the May 1st rate update to file and request your bonds if you so desire. If not, just be sure to get this all done before the rates change. Update: Upon closer inspection of the instructions, it appears that you can buy savings bonds in multiple names, but that the total cannot exceed $5k (or your refund amount, whichever is smaller). 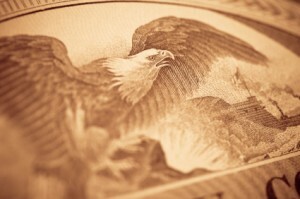 Paper Savings Bonds Going Away? I was able to verify this elsewhere, but the $5,000 limit is an ANNUAL limit. It was not clear to me what time frame you were referring to. Thank you, too, for explaining the limits of redemption in your comment. I’m very thankful for your work on this blog to bring this to our attention! Steve: While the fixed rate is just 0%, they’re currently paying 4.6% due to the variable rate, and the earnings are tax free if you redeem to pay for education. In the 28% tax bracket, that’s the equivalent of 6.4% (or 6.1% in the 25% tax bracket) – and even if it’s not tax free in the end, it’s tax deferred until you redeem. So yes, you’re only guaranteed to keep up with inflation with these, and not to get ahead, but they’re far better for a cash-like investment (note: have to wait 12 months to redeem, and there’s a 90 day interest penalty until you’ve held for five years) but you’ll do far better than with other “risk free” options. How much is your emergency fund earning right now?